Porto is a quaint old city built on the hillsides, overlooking the Douro river in northern Portugal. Its charming historical center is a UNESCO World Heritage Site worth visiting. 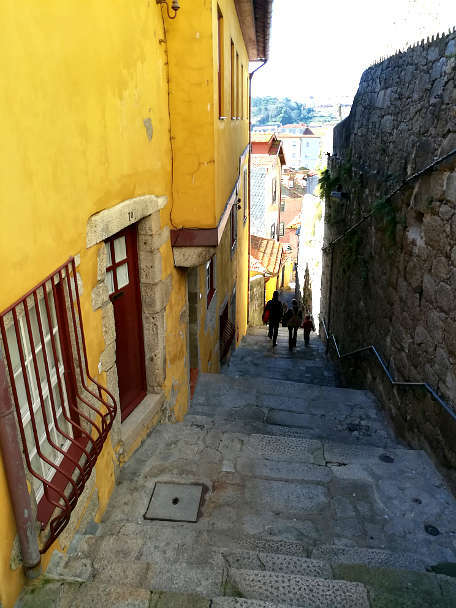 One of the best ways to explore Porto is to walk its narrow, windy streets and discover its hidden staircases. Full of cultural insights, Porto has much to offer when it comes to historical sites. Pair a Porto walking tour with local specialties, including an olive oil tasting, and you get a delicious introduction to Portugal’s second city. To navigate us through Porto, Christiane, a local guide with Eco Trilha Tours, met us at the main train station to start our Porto walking tour. The São Bento Train station is one of the most beautiful train stations in the world. 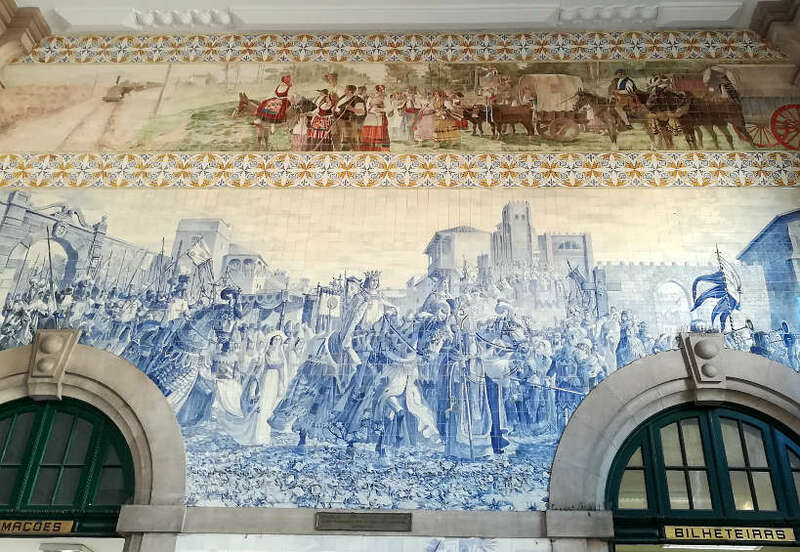 This station is famous for its floor-to-ceiling azulejo tile work that tell the story of Portugal’s history and royalty, and progress of transportation. These intricately designed blue and white tiles were placed over an 11-year period (1905-1916) by the artist, Jorge Colaço. One of the benefits of being with a local guide was getting a deeper understanding of the scenes in the tile work and the historical context. 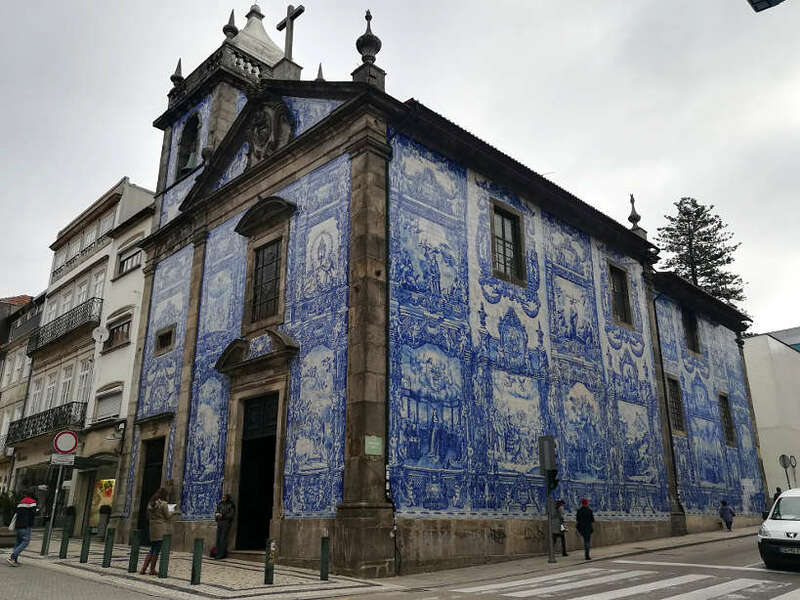 As you walk around Porto, you’ll notice other buildings and most notably churches with exquisite azulejo tiles. On Santa Catarina street, one of the busiest streets in Porto, is the must-visit, Capela das Almas also called Saint Catherine’s Chapel. The exterior walls are almost completely covered with blue and white ceramic tiles depicting scenes of the life of Saint Francis of Assisi and Saint Catherine, the patrons of the chapel. Stroll around the city leisurely and let yourself be amazed by this beautiful art. 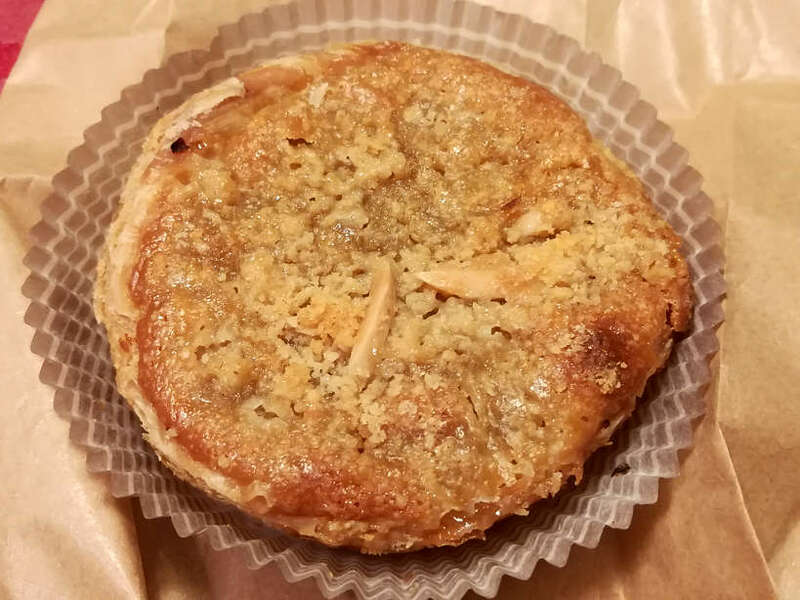 As we made our way through the narrow roads while admiring the historic architecture, we made a quick stop at Casa Portuguesa do Pastel de Bacalhau. The Portuguese are obsessed with bacalhau or codfish and this particular new restaurant concept has put a new twist on the traditional Pasteis de Bacalhau or salted cod cakes. We learned from Christiane, our guide, that the chef has combined the traditional codfish cakes with the oldest and most recognized Portuguese cheese, Serra da Estrela Cheese to create one delicious Pastel de Bacalhau. We went back later after the Porto walking tour and enjoyed the delightful treat served with a glass of white Port wine. One of the main symbols of Porto we visited was the famous Igreja dos Clérigos or Church of Clérigos. This baroque masterpiece dating from the mid-18th century was designed by Italian architect, Nicolau Nasoni. As Christiane shared, the original plans called for 2 towers, but due to lack of funds, only one tower was constructed. While we didn’t go up the 76 meter high tower, there is an inner staircase that takes you to the top where you have some of the most beautiful panoramic views of the city. 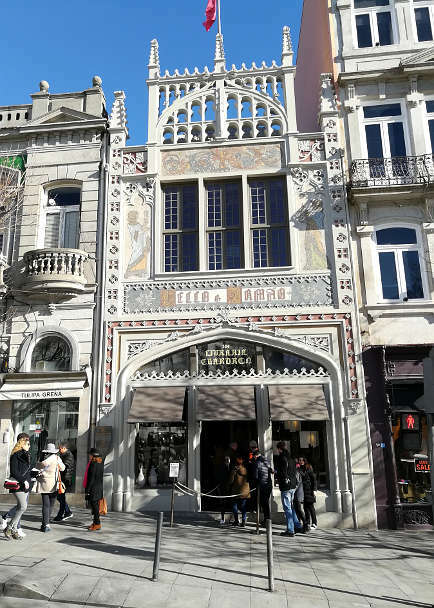 Just about a five minute walk from the center of Porto is Livraria Lello, which has often been featured as one of the most beautiful bookstores in the world. Rumor has it that J.K. Rowling’s inspiration to write Harry Potter has begun in Porto and in this library. Apparently, J.K. Rowling lived in Porto working as an English teacher and used to write and drink coffee on the second floor of Lello’s bookstore. There are great similarities to the Lello’s bookstore staircase and the one described in Hogwarts. It is also believed that the Hogwarts’ costume were inspired traditional black suit and black coat costumes worn by Portuguese students. The bookstore draws long lines of tourists and charges a small entrance fee. We enjoyed walking around the bookstore and admiring this beautiful and historic piece of Porto. One of our favorite stops on the Porto walking tour was at Mercearia das Flores, a local grocery store specializing on Portuguese products from small producers. 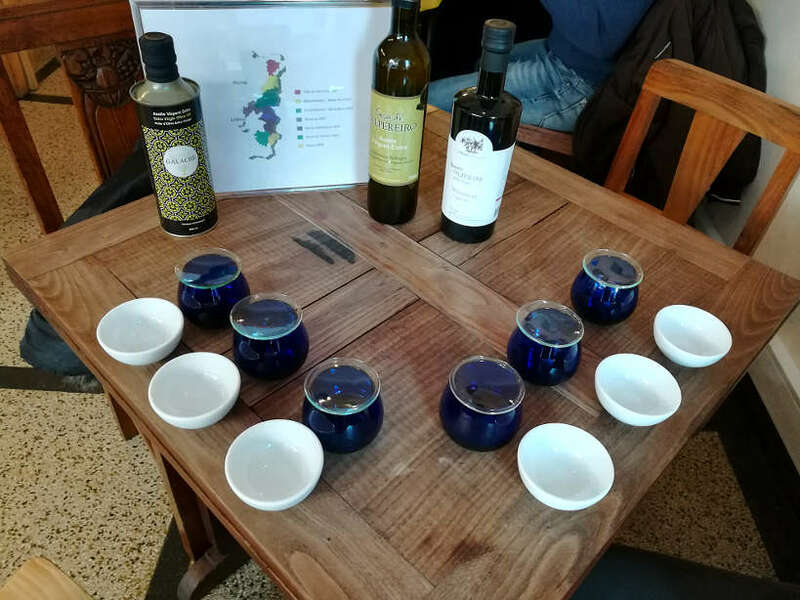 The highlight was the olive oil tasting from three different regions of Portugal. Portuguese olive oil is among the best in the world, with the vast majority coming from the Alentejo region in the south. This olive oil tasting was quite fascinating. You place the cup of olive oil in your hands to warm it to body temperature. You take a deep breathe and smell the aromas before taking a small sip. It was a very ceremonial experience. The taste of each Portuguese olive oil was unique. The oils were from the north of Portugal, the Douro and Trás-os-Montes regions and well as the award winning Galache olive oil. Each had a distinct flavor from spicy, bitter to smooth. Along with the olive oils, we sampled three different types of Portuguese cheese. There was a goat cheese, sheep cheese and a mix of both. This was accompanied by different cuts of presunto (ham) including chorizo. To complete the experience, a refreshing Portuguese Vinho Verde white wine made was served. All the products were exceptional. You could really taste the quality and rich flavors in every bite. The knowledgeable staff from the store took time out to share a bit about the local producers of the olive oils, cheese, wine, and ham. There was a sense of pride and desire to help us make the most of the experience and flavors. The cheese, presunto, and wine were excellent and we could have spent all day happily sampling all the local delicacies. One of the most beautiful views of the city is from the Dom Luís I Bridge above the Douro River. 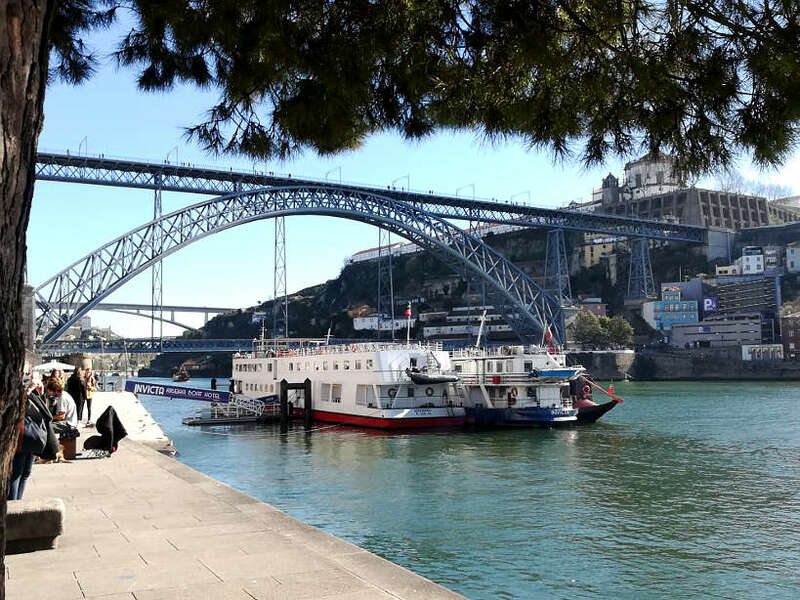 This double deck metal arch bridge links Porto to Vila Nova de Gaia where the famous Port wines are aged. The upper deck is open to only to pedestrians and the metro tram. From there, you can leisurely walk and admire the Douro river, Vila Nova de Gaia and Porto from above. Underneath, you can see the Ribeira, Porto’s River Bank, with its charming cafe and restaurants. On our way to the Ribeira, we stopped by the impressive Cathedral, Sé do Porto, to admire the magnificent silver altarpieces. Originally built in the 12th century, this remains one of Porto’s most important religious buildings. 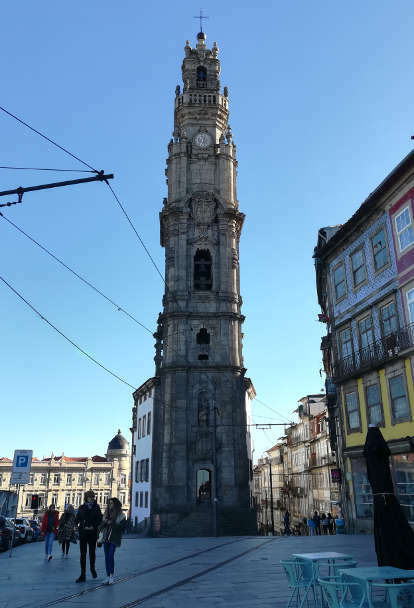 With the insights from our local guide, we learned that the church was preserved by the locals who covered up the silver to protect it from the French invasion of Portugal. The Cathedral sits on a square which offers impressive views over the city, Douro River and the wine cellars on the waterfront. You don’t want to miss this stop on your Porto walking tour. From there you can leisurely walk down to the Ribeira through the narrow streets and stairways. 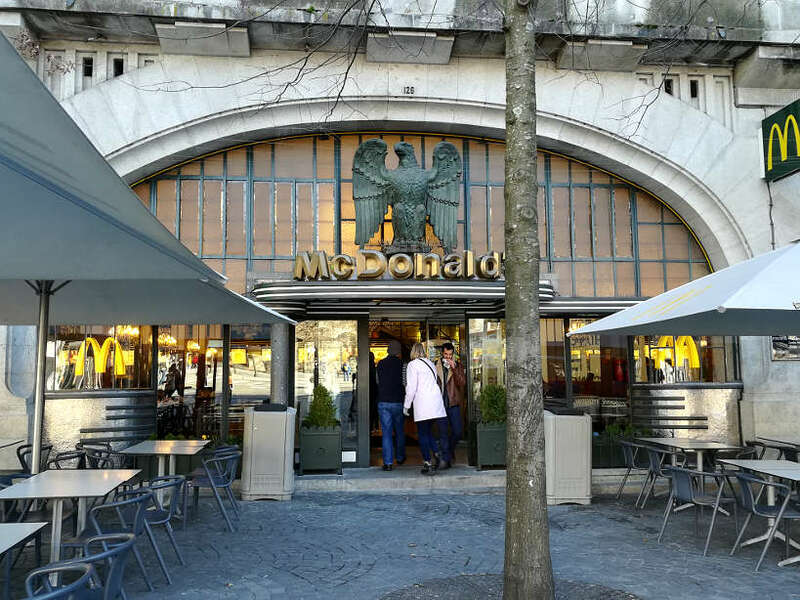 Before heading to our final tasting, we made a detour to visit the first McDonald’s in Porto. You might wonder why in the world we would you stop at such an iconic American fast food joint? Well, the location of this McDonald’s is unlike any other. This McDonald’s opened in a space that once belonged to an iconic Portuguese coffee shop in the 1930s. Known as McDonald’s Imperial, it was allowed to take on this historical location only if it agreed to maintain the unique Art deco design and architecture. As a result, it makes for a unique McDonalds with the Art Deco facade and a majestic interior. Although very impressive, we were disappointed that a fast food restaurant has inherited such a beautiful space. 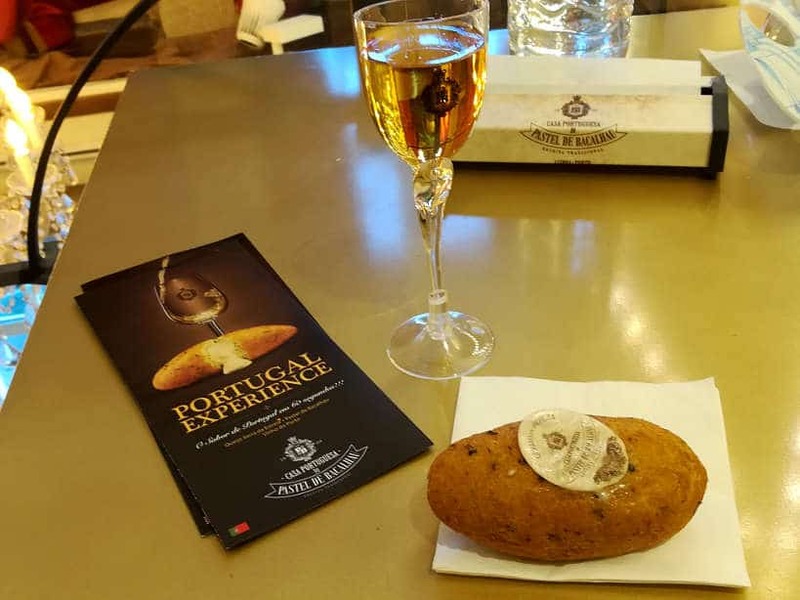 As we finished our Porto walking tour, Christiane recommended visiting Confeitaria do Bolhão, one of the oldest and most popular pastry shops in Porto. Unfortunately, on the day of the tour, it was closed. We went back a couple days later to sample some of the local sweet specialties. 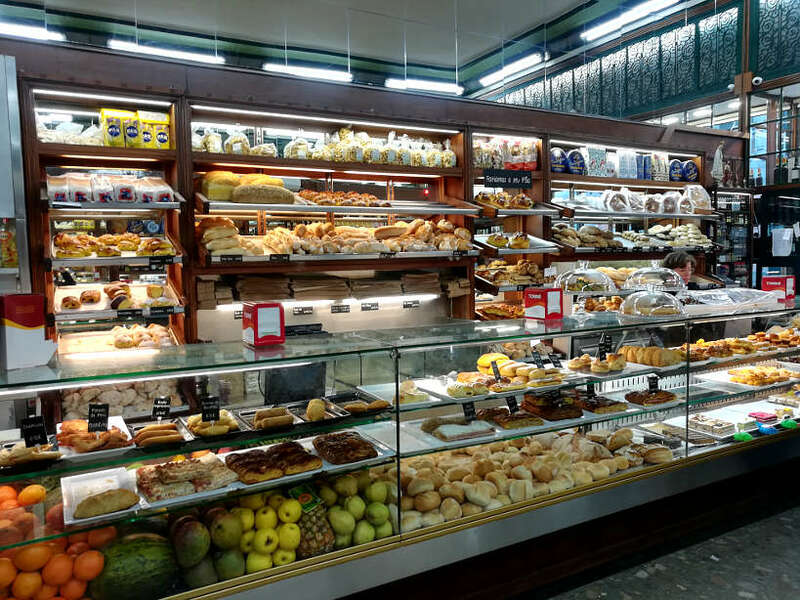 Confeitaria do Bolhão is a traditional bakery and pastry shop opened since 1896. Located across the Bolhão Market in downtown Porto, it’s always been a popular breakfast stop for locals on their way to the market. The pastry shop was closed for 10 years at the end of the 20th century before being revived by Portuguese immigrants. Since then, it has become even more popular with locals and tourist alike. You will find many delicious sweets and savory bites. One of their specialties is the Tigelinhas do Bolhão. This pastry is a custard tart made with eggs and almonds. It is quite sweet, with a soft filling and crunchy crust. This stop should not be missed on a Porto walking. It is no surprise that Porto was selected European best destination to visit in 2017. Porto is not only a picturesque city, it is also a medieval center with a wealth of cultural sites. Best enjoyed by foot, you can easily walk up and down its narrow streets and quaint stairways. The River Bank offers many charming and relaxing cafes and restaurants terrasse to rest and delight on local wines and foods. Although Porto is very easy to navigate on your own, you will learn unique insights with a local guide. In addition, you’ll have the opportunity to taste delightful Portugues specialties including olive oil, cheese and wine along the way. Customized food tour led by a knowledgeable Portuguese resident. To easily walk around and discover Porto city, you want to stay in a convenient location. Feels Like Home Santa Catarina Prime Suites is a wonderful B&B conveniently located in downtown Porto, steps away from the main sites. The rooms and suites are in a traditional Porto building, which was recently fully refurbished and features modern comforts. A wonderful breakfast is included in a gorgeous setting, as well as an afternoon tea/coffee. Enjoy a “real” feel of home in central Porto! Special thanks to Eco Trilha Viagens for having us on this Walking Porto Tour. All views and opinions expressed are our own. Full bellies and happy taste buds too! That’s perfect timing indeed 🙂 Porto is indeed an amazing city, and so is Portugal in general. Your wife’s friend is right, you’ll find amazing food and wine, a laid back pace and warm people. Take her advice (and ours too) and plan a trip to Portugal soon 🙂 Thanks, Ryan. Porto sounds like a beautiful city. Any inspiration of Harry Potter sounds like it should be something special. The cheese and meat plate looks to die for. I can only imagine how good that all must have tasted. Porto is indeed a magical city and worth visiting. Glad you liked the article, and hope Portugal is on your travel plans soon! I keep hearing about Porto and this has clinched my interest. Of course, a food tour would be wonderful. I love the idea of Bacalao with cheese, the ceremonial olive tasting and any pastry with almonds wins my heart. Such a beautiful place – even MacDonalds! That’s awesome to read that Porto is on your radar!! It is a beautiful and charming city with amazing local foods and drinks. Hope you get there soon 🙂 Cheers. Lol…here you on the pasteis de bacalhau! Delish! Porto is a short trip way from Lisbon. Don’t miss it on your next trip to Portugal! Thank you for the tips about where to stay, appreciated! You are most welcome. You will love Porto. Feel free to reach out with any questions you may have. Also, check out the website for more delicious eats in the city! Thank you so much! Really appreciate it. Porto captured a special place in my heart as well. Definitively head back soon 🙂 Cheers. 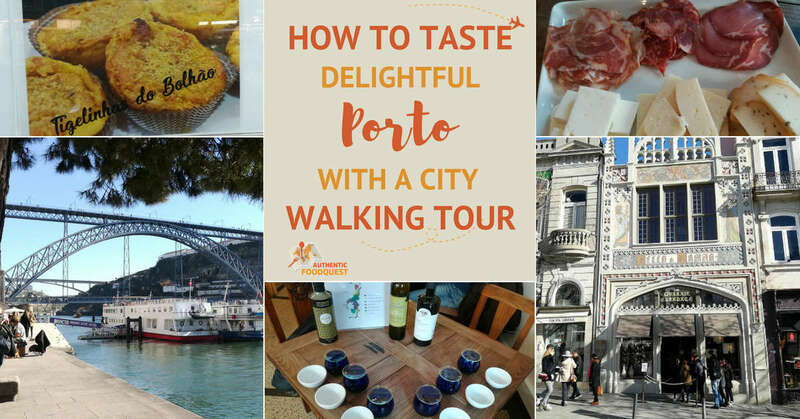 I paid particular interest to this post as I’m heading to Portugal in June, this tour looks like something I should definitely get involved in, I’m getting quite excited in experiencing the city and the food and reading through this post only accelerated my excitement, I know I’m going to be in for a treat, both visually and foodwise 😀 – Is there any advice other than the place you’ve mentioned in this post that I should definitely check out? Awesome and perfect timing for your upcoming trip to Portugal. The country has so much to offer. On the website, look under Portugal in the destinations tab and find all sorts of things to eat and experience in the country. Feel free to reach out with any questions, as you prepare for your trip! Porto is indeed amazing. I love how you photograph it so as the delights. Thank you so much. Indeed, Porto is an incredible city. I looooved Porto! I want to go back with my husband as I went without him but know he’d love it too. So good excuse to visit again. The food tour looks perfect, I love taking this kind of excursion to get a feel for local cuisine and the best places to eat, though I didn’t warm to bacalhau, I loved local meat and cheese, and some of the rich egg desserts in particular! On the sightseeing front, the sites with those stunning blue and white azulejo murals were my favourites. Love it that you love Porto so much. Introduce your husband to the wonders of the city and he will love it as well. Be sure to visit the wineries in the Douro Valley as well. So much to see and eat/drink in Porto! Cheers. This comes right on time: I’m going to Porto (and other destinations in Portugal) next month so I certainly will pin this. A walking tour is always a good idea – and in combination with food….that’s my kind of day! Perfect. So glad you saw this article at the perfect time. 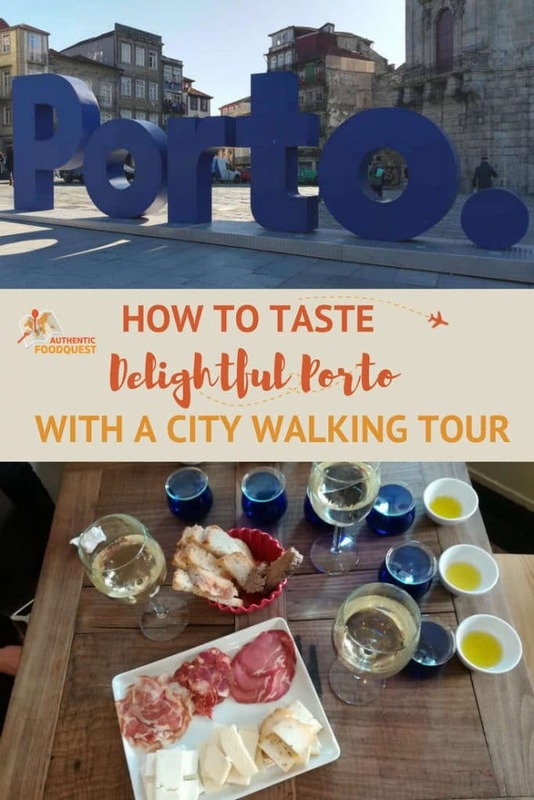 The walking tour gives you a chance to walk off what you’ve eaten and then eat more 🙂 Check out more articles under the destination tab “Portugal” on the website. Have a safe trip. We do not have a lot of Portuguese food from where I am and so this made me really curious (and hungry!) My favorite would have to be the olive oil tasting and the photos of the Porto Cathedral is awesome! So glad to have introduced you to Portuguese food through this city walking tour. 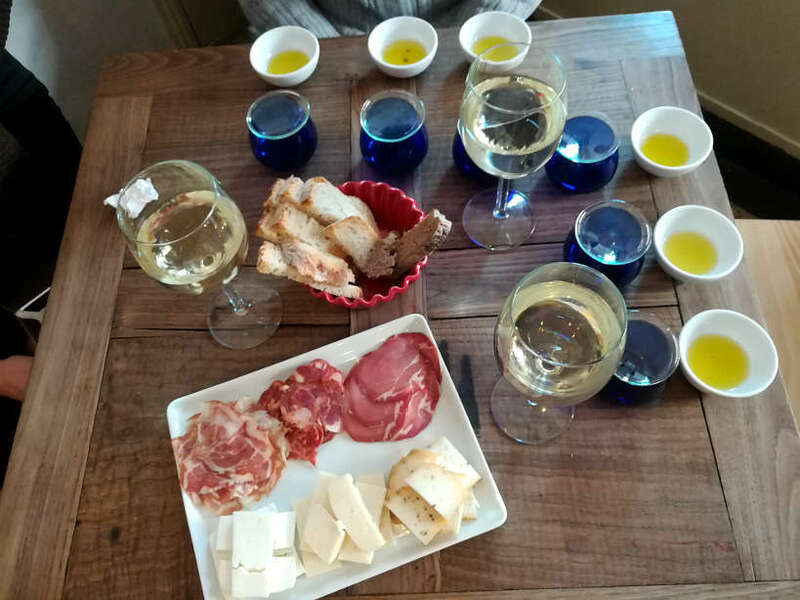 The olive oil tasting was quite special, especially for a country that produces some of the best olive oils in the world. There is so much history and you’ll see many more historic churches. Thanks for stopping by! Porto is so on my list of places to visit and it looks beautiful. The tiles at Capela das Almas is stunning and I can’t believe that’s on the outside of a building! And I so did not know that about JK Rowling living there and finding inspiration from that library. that’s a super cool fact. Awesome. So glad you enjoyed the article and getting inspired before you visit Porto. You will love it! So much rich history. Thanks for stopping by. Portugal generally and Porto particularly has been on my list for many years now. I have been to all countries near Portugal but somehow things don’t seem to work out. Thanks Nisha!! You’ve got to make it happen, Porto and Portugal, in general, is an amazing country. You will love it!! Thanks for stopping by! So today, I decided to eat just a salad and now, I am really craving! The olive oil taste tasting sounds like a really brilliant idea! I have to try this too! I am really curious about olive oil tasting, sounds like an interesting ceremony. Porto is fantastic with its old monuments. The tiles from the medieval times are very impressive. The olive oil tasting was quite an interesting experience. We got to learn to appreciate the subtleties of the different aromas and tastes from around the country. Truly, the tiles in Porto are magnificent!! Thanks for stopping by, Indrani. 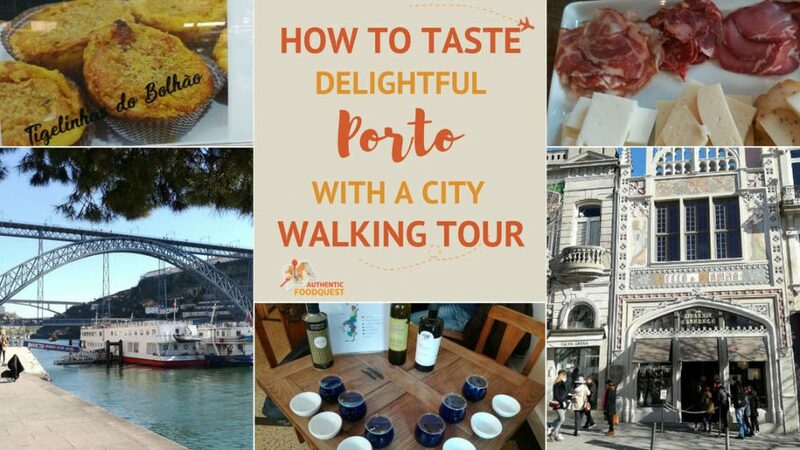 This walking tour of Porto sounds like the perfect way not only to explore the city but also have some great culinary experiences! I love food and wine tasting tours and olive tasting sounds particularly intriguing to me! Also, the architecture in the city itself makes you want to walk around and explore, with a camera! I love the tile work in São Bento Train station. The Porto Cathedral is also so impressive! I’d love to try some authentic Portuguese food, can’t wait to get to Porto. 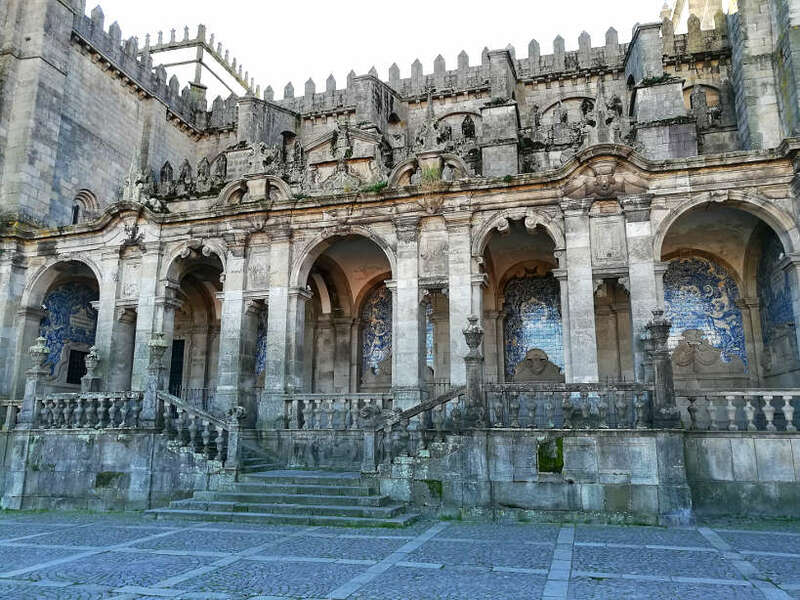 Walking through the vibrant history of one of Europe’s oldest cities and discover some of its’ still hidden gems, I would love to do this 🙂 The Capela das Almas is beautiful ! Thanks C-Ludik, when you are with a local guide, the experience gets much more elevated!! Glad you like the photos. Cheers.